A batch of screenshots has been released for the upcoming Big Bank Heist DLC of Payday 2. From the images you can well imagine how much planning will be required on your part to be able to pull the job off. The bank seems to offer multiple entry and exit points. Firstly we have the obvious front entrance. The door is shown riddled with bullets, making this the loud and hard way to do it. The second entrance looks to be from the roof. In a couple of the images you can spot gun fights happening on the roof as the team is trying to escape with the loot. 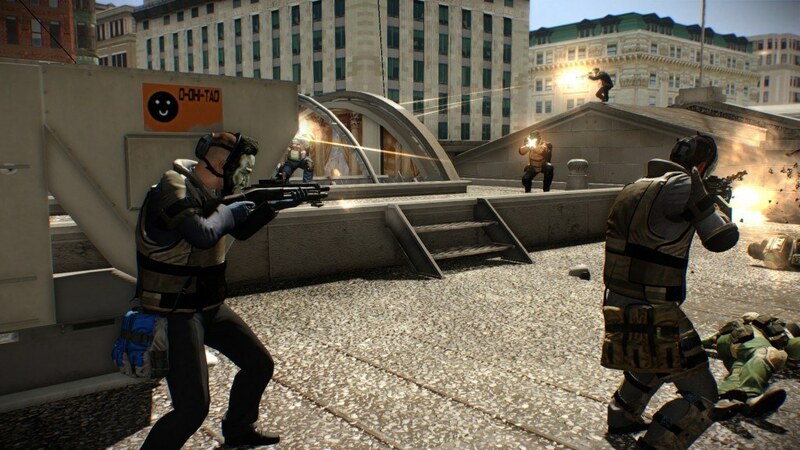 Payday 2: Big Bank Heist DLC is scheduled for a release on the PC on June 17. Yesterday, publisher 505 Games released a trailer to promote the upcoming DLC, one which features a new contact called “The Dentist”. This new persona is played by none other than Giancarlo Esposito, the actor who played the role of Gustavo “Gus” Fring in the popular show Breaking Bad. You can check the trailer out here.